Cloudy with occasional rain late. Low 36F. NW winds shifting to ESE at 10 to 20 mph. Chance of rain 100%. Rainfall around a half an inch. 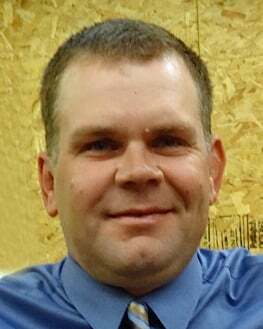 MASSENA | Brian L. Follmann, 40, of Massena, Iowa, died Wednesday, June 18, 2014, from injuries he received in a farm accident near Massena. Funeral services will be held 10:30 a.m. Monday, June 23, at St. Patrick's Catholic Church in Massena, Iowa. Burial will be in the Massena Center Cemetery. Visitation will be held from 1 to 7 p.m. Sunday at St. Patrick's Catholic Church in Massena with family receiving friends from 4 to 7 p.m.
Memorials may be directed to the Brian Follmann Memorial Fund to be established by the family at a later date. Online condolences may be sent to the family at www.cataldofuneralhome.com or steenfunerals.com.